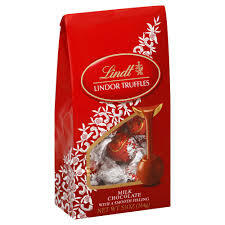 Target currently has the .8 oz Lindt Lindor Chocolate bags for $1.00. Hurry and print this new $1.00 manufacturer coupon to score FREE Lindt Lindor Chocolate at Target! Click here to get this Lindt Lindor Chocolate coupon.